As Ollie flipped through his new favorite book, a children’s atlas, he came across a photo of a marathon runner and turned to me and gasped, “BASEBALL!”, which reminded me that Daniel and I have been wanting to take Ollie on a special date before baby 3 comes, so instead of correcting him, I looked up dodger tickets. They were playing tonight (Wednesday) AND against the Colorado Rockies! I text Daniel asking him what he thought about going and if I was being too spontaneous. I have a hard time being spontaneous. He’s the more spontaneous one. I’m the planner. 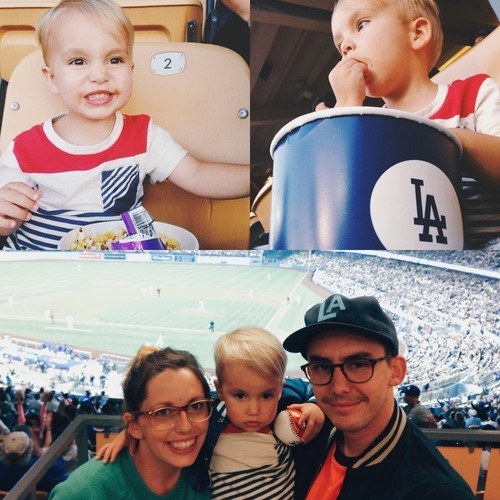 But every once in a while I feel all giddy and wild by deciding to go to a baseball game or take the kids out somewhere last minute. So of course he thought it was a great idea and we got tickets! Daniel and I love love love Palm Springs. I always had this desire to go there because my mom TMI revealed that’s where I was conceived, so in some ways it’s my homeland and where I strang into existance. This was our third year going and we figure out how to enjoy it more and more with every trip (which happened to be with less kids this time, go figure). 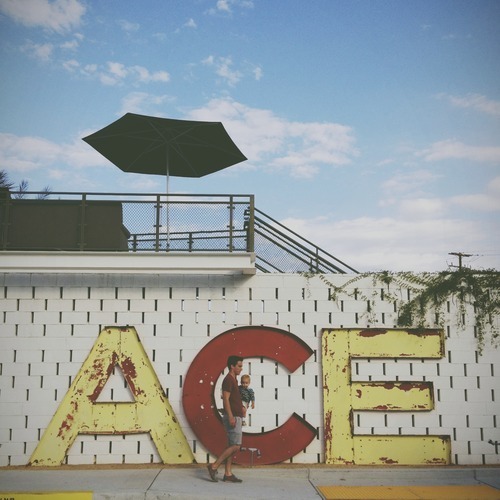 We always stay at the Ace (patio room, do it), but hope to one day upgrade to the Parker. 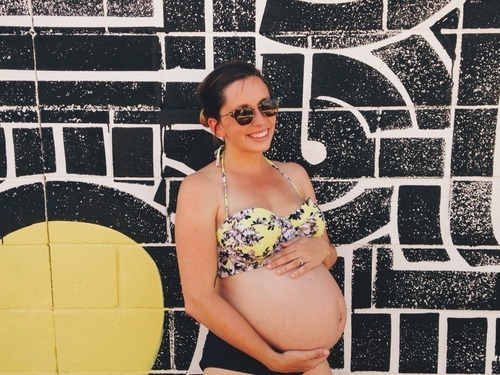 Maybe someday when I’m either not pregnant or with tiny babies…. See you in 2034 Parker! The first year we went I was around 5 weeks pregnant with Atlas and Ollie was around 14/15 months. It was super fun (besides the nausea + heat combo). Happy Saturday from Palm Springs! Daniel is still sleeping and I slept in until 5:30am! You’d think without kids you would have no problems sleeping but nope. (Kinda jk, I snoozed in two more 30 min chunks, but still). Besides accepting the fact that I really was pregnant and would have 3 3 and under, accepting that having this baby at home wasn’t the best choice this time around was incredibly difficult. It wasn’t an easy choice at all. It would seem pretty easy going from 2 hard, unmedicated births to the luxury and blessing of possibly having a medicated birth, but it was so much more than that. 1. 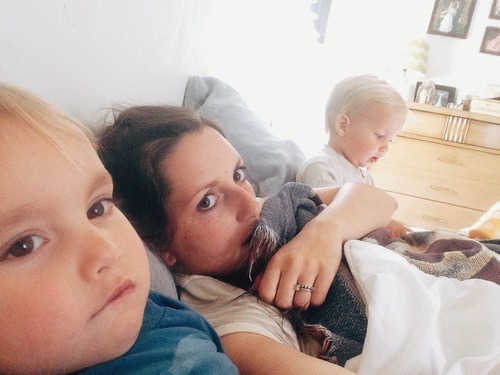 I’ve been wanting to blog since being back but every time I have the opportunity I either fall asleep putting the kids down for a nap/go to bed early or soak in a bath. Can’t get out of beddddd.